Benguela Cove is delighted to announce that they have won two Gold medals in the 2015 Gold Wine Awards for two consecutive vintages of Matilda's Secret. The Gold Wine Awards is a consumer-judged competition that this year evaluated wines under R80 per bottle and awards the wines that are excellent value for money. More than 90% of all wines produced in South Africa fall in this price category, and there is very little to guide consumers to the best value for money wines, especially in the lower price categories. Gold Wine Awards identifies worthy wines to give sales a boost while helping the consumer make better buying decisions. The panellists were Joakim Blackadder, Ad Wegner, Catherine Barrat, Catherine Dillon, David March, Dominic Bowers, Sandra Hembling, Johan von Wielligh, Ralph Reynolds, Marlvin Gwese, Ginette de Fleuriot and Wanda Cronjé and the tasting was conducted by the Cape Wine Academy. The results of the tasting were statistically linked to the price of the wine to determine which wine was real value for money. Shiraz over delivered and offered the most value, according to most judges. Catherine Dillon called it: “bang for your buck”. Catherine Barrat called it: “Sassy showgirls, fruit forward, multi-layered accessible drinking wines”. The Matilda’s Secret is produced by Benguela Cove Lagoon Wine Estate; a 200-hectare lifestyle farm and exclusive luxury estate situated in Walker Bay, Hermanus. Overlooking the Botriver Lagoon and the Atlantic Ocean; the unique maritime conditions ensures that this unique terroir produces outstanding quality grapes. Matilda’s Secret 2013 is a Rhone-style red blend of Shiraz, Grenache and Viognier showing aromas of dried herbs; cured meat and black and white pepper. This wine displays typical characteristics of a cool climate, maritime-style Shiraz with elegant sweet fruit on the palate; complimented by integrated tannins and a smooth, lingering finish. 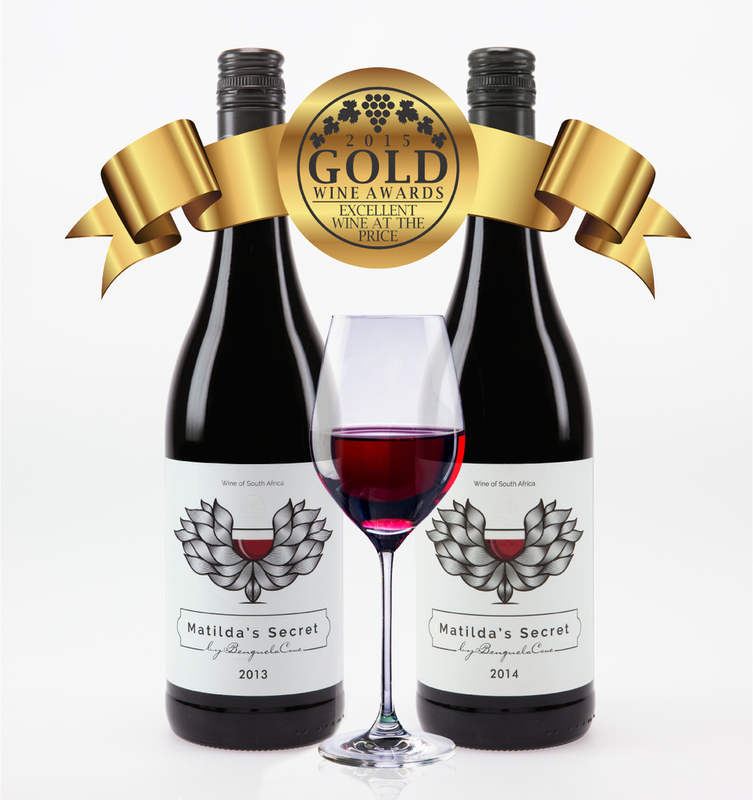 Matilda’s Secret 2014 is a blend of Shiraz and Merlot with a deep crimson red colour and upfront young berry fruit flavours on the nose, subtly backed by a dark chocolate nuance. The palate shows luscious, integrated tannins with delicious fruit complements. For additional information please contact Benguela Cove Lagoon Wine Estate on info@benguelacove.co.za.